I’m still messing around with paper today – specifically white paper for stamping projects. 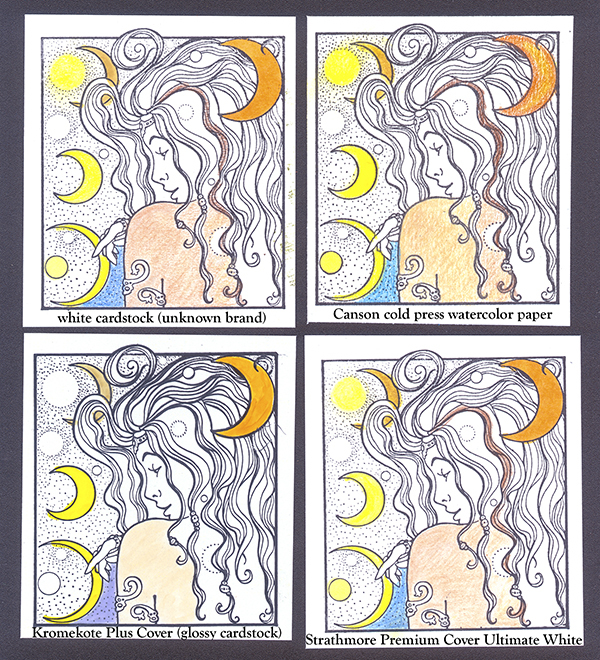 Yesterday I compared coloring with various art mediums on an assortment of white papers. Today I’m looking at the actual stamping: How does an image stamped with regular black dye ink look on that paper? I’ve been thinking about paper for stamping lately. 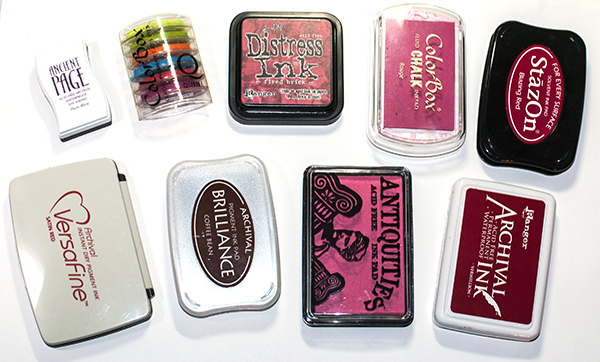 I’ve been stamping for a long time and over the years have collected a wide variety of paper for stamping and/or layering. The stamping paper I reach for today is not necessarily the same paper that I reached for when I started stamping over twenty years ago.